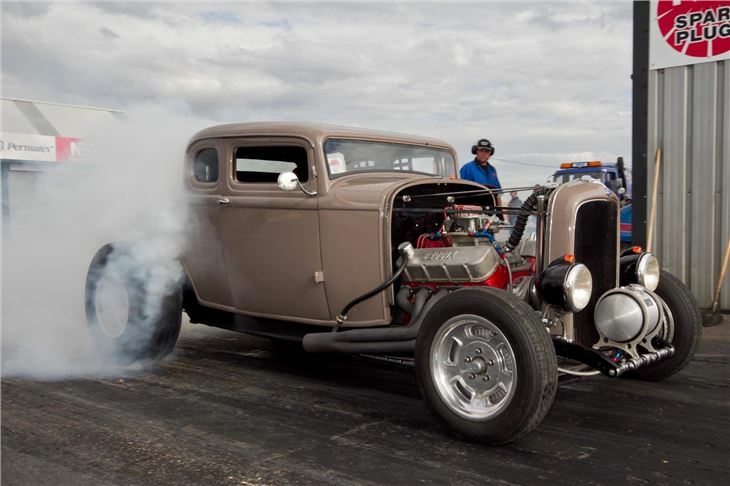 The Gasser Circus was launched in 2003 with a gathering of 8 Gasser style, street driven and race only cars debuted at the NSRA Nostalgia Drags at Shakespeare County Raceway. 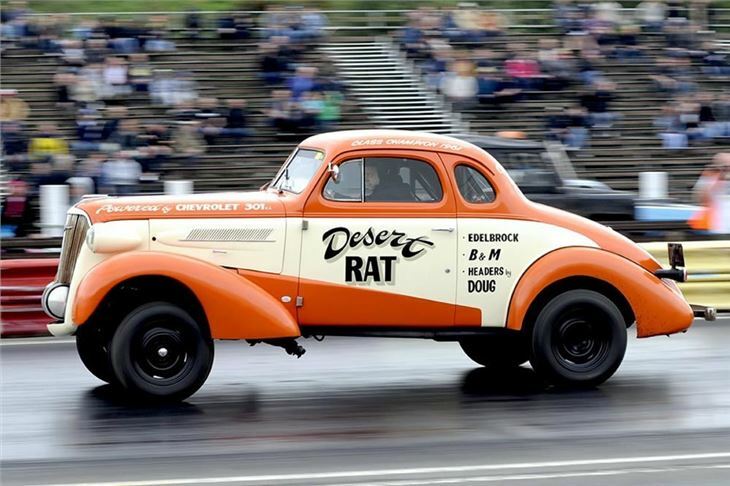 The class was an instant hit and from that point forward the Gasser Circus has grown in popularity and although competitors and cars have come and gone in the intervening period, the group of racers dedicated to campaigning cars which resemble and pay tribute to the early era of drag racing continues to grow. 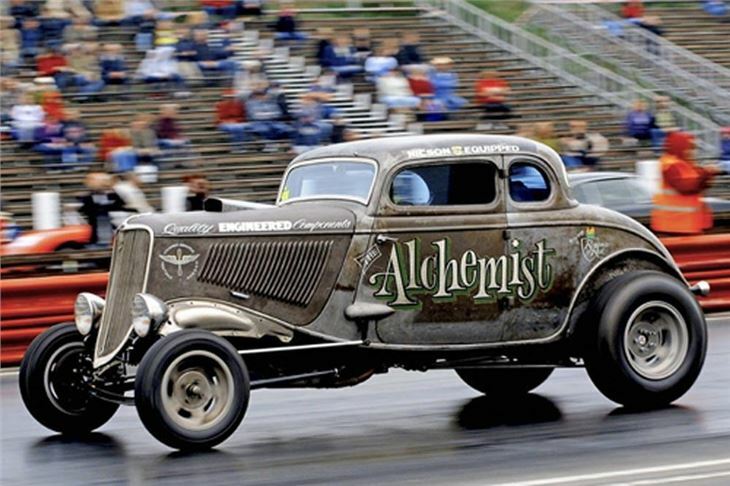 So much so that following 16 Gassers turning up to run at the NSRA Hot Rod Drags in 2010, the decision was taken to expand the Gasser Circus to a 4 round National Championship in 2011 and they even picked up sponsorship from the National Street Rod Association. 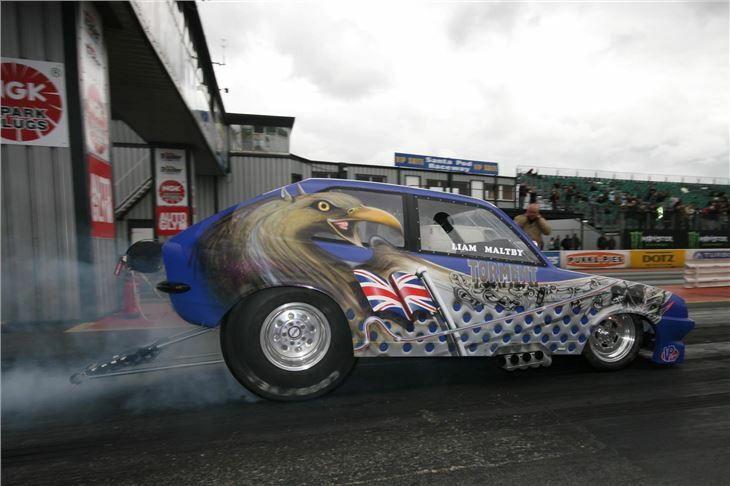 The introduction of the new Dragstalgia event on the 16th/17th July provided the perfect opportunity for Santa Pod Raceway to invite this ever popular class to host a round of the championship. 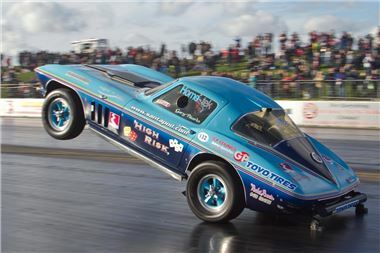 With the event being a celebration of the early days of Drag Racing at Santa Pod, Dragstalgia and the Gasser Circus is a match made in heaven so we are hoping for another fantastic double figure turnout from these classic machines. The entries from other classes is not looking too shabby neither and we expect approximately 7 Fuel Altereds, over 15 Wild Bunch Cars, over 10 Supercharged Outlaws and a healthy entry from the Outlaw Anglias and Outlaw Street Series. Of course this is on top of the newly introduced Top Sportsman Class which will be running for the first time at Dragstalgia and the wide variety of vehicles that will be running as a part of the Historic Vehicle Sessions and RWYB. We have recently released the RWYB sign on tickets so you can even pay in advance to secure your track time at this Nostalgic weekend. There will be a shootout from the Brighton and Hove Motor Club who are primarily a Sprint Racing organisation. 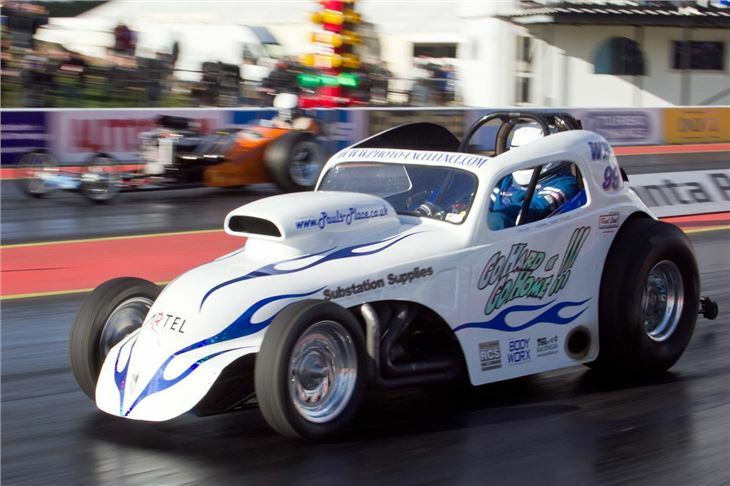 Many Drag Racers from the early days originated from Sprint Racing and one member in particular, Jim Tiller still races in both sports. Jim who is also a member of the Allard owners club will be racing at Dragstalgia in his awesome Allard J2X will be looking to set his fastest quarter mile time yet. Currently his best time is 9.8 seconds so you can be sure that Jim will not be hanging around. 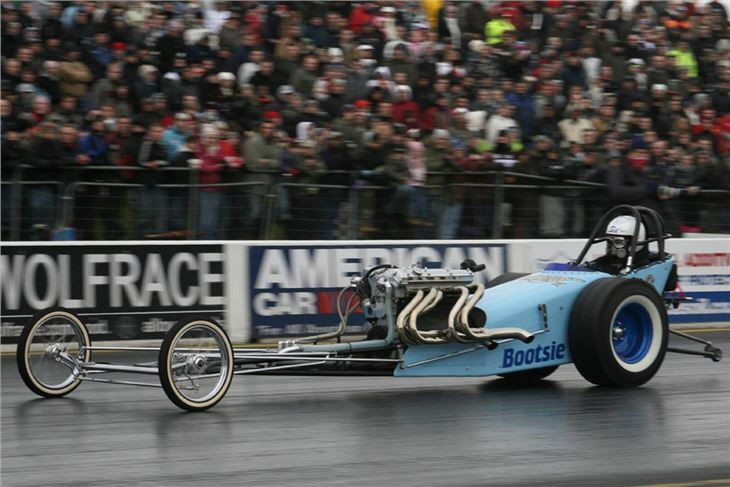 One of Jim’s crewmen also helped to put together the original Allard Chrysler Dragster, the first purpose built Dragster in the UK, a machine that will also be on display at the event. In addition to this already stunning line up of on track action will be Ronnie Picardo in his Historic Wheelie Stingray, Martin Hill in the FireForce 3 Jet Car and Julian Webb in the Split Second Jet Dragster. The line up of evening entertainment has now began to take shape and we have some fantastic acts lined up for you. As well as a collection of scantily clad burlesque dancers, we also have the awesome 3 piece Rockabilly group The Cheaterslicks playing alongside The Humdingers who will be Putting their slant on old rock and roll and country classics. Elsewhere on site will be a BBMF Flypast with a WWII Spitfire, the Historic F1 Stock Car club doing demo races around an oval track, Show n Shine competition, Live Evening Entertainment and even a Cacklefest and Flaming Burnout display.